Well, when I posted the soup pic yesterday, I was so hungry that I went in search of something to make a big pan of soup with. 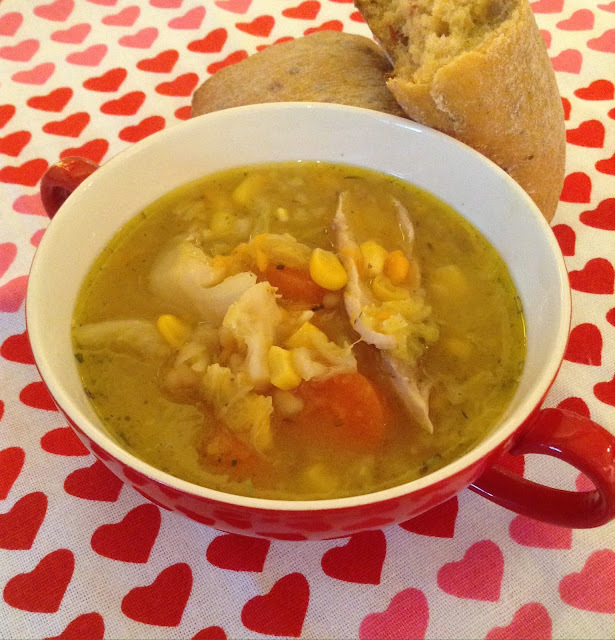 Have I mentioned that I totally love soup? :-) My fridge is looking very empty at the moment. It's not pay day until Friday and I'm trying to cut back on how much I spend. I'm also trying to empty the fridge so that now my new freezer has finally arrived (YAY!!! 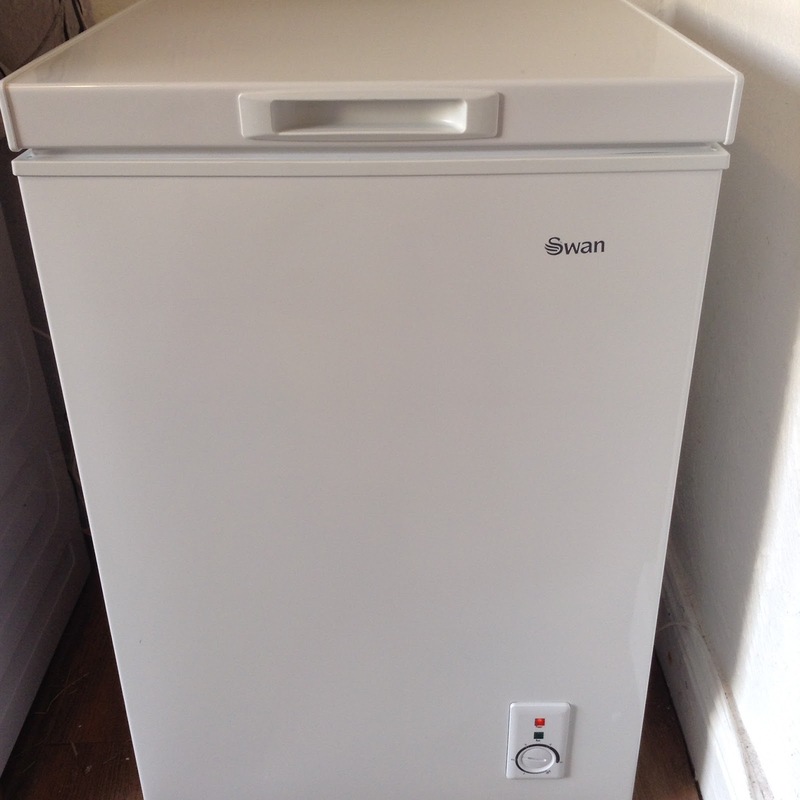 ), I can de-frost my little fridge/freezer and give it a good clean. The bottom drawer is frozen shut and if I pull it, I'm sure it will break. I retrieved some chicken thighs that I had bought when they were on special offer and I added them to a pan of carrots, sweet potatoes, a very sorry looking half a cabbage, and the last bits of frozen sweetcorn from a bag in the freezer. I also added a couple of chicken stock cubes and a handful of my favourite garlic and herb stuffing mix, it gives a nice creaminess to the soup. I'm working a long shift tomorrow and luckily, there is plenty of soup for me to take to work in my food flask for my lunch and after my totally mad impulse purchase of a gazillion bread rolls yesterday, I have more than enough delicious bread for dipping in my soup. Oh and thank you to everyone who left comments and have kindly shed some light on my dwindling follower numbers. I have lost 5 in total so far and I'm quite upset. Congratulations on the arrival of your freezer - at last! Roll on payday so that you can start filling it up. That soup looks so warming and appetising - I want some NOW! As for your 'lost' followers, hopefully they will use an alternative method of getting back on your list before too long. You'd love my folks pantry, there's 107 tins of Baxter's in there. Mum lives off the stuff. That BTW looks rather like a choweder, or even a stew, than a soup. Very thick and tasty lookiog.